KAMPALA– The Kabaka of Buganda, Ronald Muwenda Mutebi, has said government’s practice of setting up parallel investigation bodies and committees will not end corruption in the country. He instead called for an entire cultural overhaul to end the vice. “We are tired of that song of of investigations. Action must be seen by responsible actors.We believe that if institutions were left to act independently, theft of public resources would come to an end,” Kabaka Mutebi said in his Christmas message on Sunday, December 23. On top of the Inspectorate of Government, President Museveni early this month set up an anti-graft committee headed by Lt. Col Edith Nakalema to fight corruption. Early this week, the team raided Wakiso District Land office, arrested some officers and confiscated some computers. But the Kabaka said all these efforts will bear no fruit if children are not taught to avoid greed and selfishness at a tender age. “Previously, parents taught children how to avoid greed and indeed children grew into good-mannered citizens. 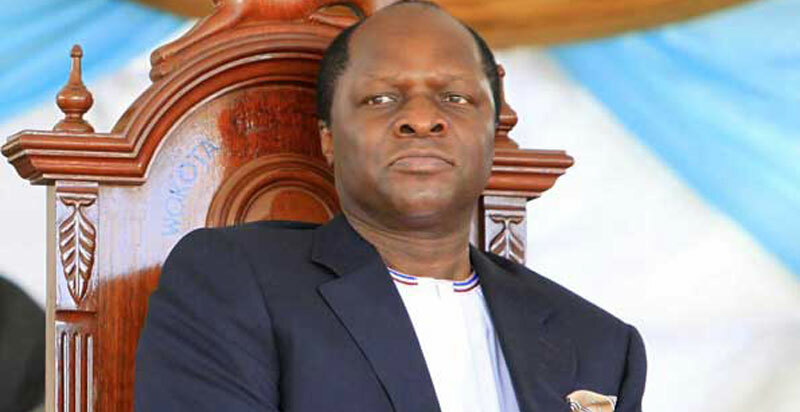 But during this era, there is a lot of greed among people and this is why we witness a lot of corruption,” the Kabaka said. He said massive corruption has led to a broken healthcare, education, politics, economy and retarded national growth. “Politeness and feeling ashamed as we perform national service is critical in a nation where civility is key,” Kabaka said. On kingdom matters he lauded international and local partners who have come up to work together with Mengo. “Most of our agencies have been energized and are working in line with the cores of developing our people,” he said. Uganda has maintained the same position in the international corruption rankings. Last year, the country was at position 151, the same this year, scoring 26 percent, according to Transparency international.